The latest article in Nursing Standard’s series celebrating modern nursing roles across the UK focuses on nurses in London. The latest article in Nursing Standard’s series marking the RCN’s centenary year by celebrating modern nursing roles across the UK focuses on nurses in London. ‘These three fantastic examples illustrate the breadth of nursing innovation in London,’ says RCN London regional director Bernell Bussue. 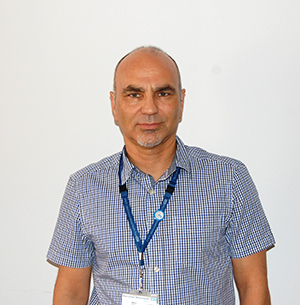 Albano Cabral is a practice development nurse at West London Forensic Service (WLFS), part of West London Mental Health NHS Trust. He led the introduction of Safewards, which have reduced conflict and restrictive interventions. ‘Patients in our setting are generally cared for in locked wards. Because of their distress, we sometimes have to use restrictive interventions as a last resort. ‘One of WLFS’s objectives for 2014-15 was to develop a training package for patients and clinicians focusing on collaborative risk assessment and safety planning. I was interested in the Safewards model and was asked to lead a pilot across 6 wards from July 2014 to July 2015. ‘What I like about Safewards is its simplicity. It doesn’t require a lot of training or expertise because it is common sense – simple, practical things we know we should be doing. ‘Research shows that by adopting this model in inpatient settings we can reduce conflict by 15% and the need for restrictive interventions by 26.5%. “Conflict” includes violence, self-harm, alcohol or drug use, absconding, refusing to see care workers and antisocial behaviour. ‘The ten Safewards interventions form a valuable toolkit that has been tested through rigorous research. ‘One is about setting “clear, mutual expectations” – what patients can expect from us and what we can expect from patients – and displaying them on the ward. ‘Others are about improving the physical environment, adjusting staff behaviour and addressing patients’ needs. ‘We created working groups with patients and clinicians to implement the interventions on each of the wards. Although our pilot was small, there was clear improvement in patient safety, group cohesion and therapeutic hold (ability to engage in therapy) across all six wards. ‘Together with a patient consultant, I deliver 1-day training sessions to clinicians and patients who can go back to their wards and make it happen. As well as supporting wards directly, we hold a monthly support group where people can share ideas. Tracey Marshall and Emma Pindard are nutrition nurse specialists at St Georges University Hospital NHS Foundation Trust. 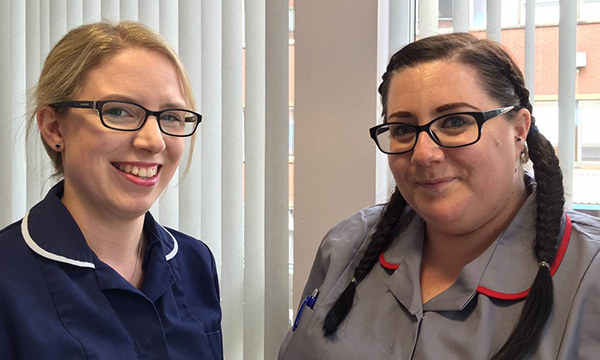 They created a nurse-led rapid access service for intravenous feeding patients who attend the acute assessment clinic, and their training programme has reduced incidents and improved patient safety. ‘Our patients are adults who cannot meet any or all of their nutrition, hydration or electrolyte needs orally. A high percentage are cancer patients and many others have multiple sclerosis or Parkinson’s disease. ‘At our weekly nutrition clinic we see complex enteral feeding patients, those being assessed for long-term enteral feeding and home parenteral nutrition (HPN) patients. At St George’s we use up-to-date procedures, such as Dyna-CT guidance to insert gastrostomies. ‘In 2012, we set up St Georges rapid access service so that patients can be seen immediately to prevent admissions. We take referrals from GPs, community nurses and speech and language therapists, and patients can self-refer. The service was praised at our peer review and it was recommended that other trusts roll it out. ‘We are responsible for creating policies and guidelines on enteral and parenteral nutrition, and our guide for the safe insertion of nasogastric tubes was launched trust-wide in 2014. We train nurses in all aspects of nutrition management, created a nutrition link nurse role in all adult areas, and run regular study days for around 30-40 nurses. ‘Since we introduced competencies for total parenteral nutrition, line care infection rates have gone down, with no inpatient acquired infections since October 2015. There has also been a reduction in morbidity and mortality following gastrostomy insertions, and a decrease in nasogastric incidents. Since we trained emergency services staff in managing enteral and parenteral patients, we’ve seen a reduction in hospital admissions. ‘Our HPN service takes referrals from a network of trusts. We solve problems that enable patients to stay at home and facilitate discharge for palliative patients who would previously have been kept in hospital. We work with homecare companies to train patients in line care and give them all the information they need to be independent at home. ‘When they are discharged, we give them our direct number and our bleep so they can contact us at any time. We’ve had very positive feedback from patients and carers. ‘The most challenging aspect of our work is making complex ethical decisions and having to break bad news to patients and relatives. We’d like to develop the service and have a dedicated counsellor on the team. Cerdic Hall is nurse consultant, primary care, at Camden and Islington NHS Foundation Trust. As well as providing a clinical service, he is responsible for promoting co-production in the trust. ‘People often say that co-production is simply staff and service users working together. But it is much more – it’s about working from a place where people’s talents and capacity to lead are sought and trusted. ‘Co-production is about having service users working in all parts of the organisation so their expertise can inspire others to connect, get active and take care of themselves. ‘It ensures that people with a lived experience are involved in the design of health services, helping to identify and remove unhelpful barriers to recovery. ‘It benefits patients and service users. People who participate in authentic co-production are energised and inspired, viewing the experience as part of recovery. Professionals learn that mental well-being is a challenging journey and that we don’t have to have all the answers. ‘The façade of “us” and “them” begins to crumble as we learn from incredible individuals how to live well. ‘There are many silos of activity across physical and mental health, the third sector, NHS and social services. ‘In the current climate, it’s important that we work together to ensure the most vulnerable are connected to caring and creative communities. ‘As a result of educational sessions I co-produced and co-delivered – with support from Islington Community Education Provider Network – we have won the confidence of many GPs and other health professionals. They found it inspiring to hear from people who have faced serious challenges and are now doing well. ‘The sessions in GP practices covered employment, housing, diet, exercise, long-term conditions and mental health. We are also planning sessions on young people’s health, dementia and learning disability. ‘The co-production of a service user involvement strategy for primary care in Islington is taking the form of a new group called the Side-by-Side Network. As well as improving the work of the trust, Side-by-Side members will become a resource to the community at large. ‘At a co-production conference we recently held with the network, it was moving to see how much passion the initiative has generated. Nursing Standard is marking the RCN’s centenary year by celebrating the astonishing range of modern nursing roles and the often unheralded great work by nurses across the regions.